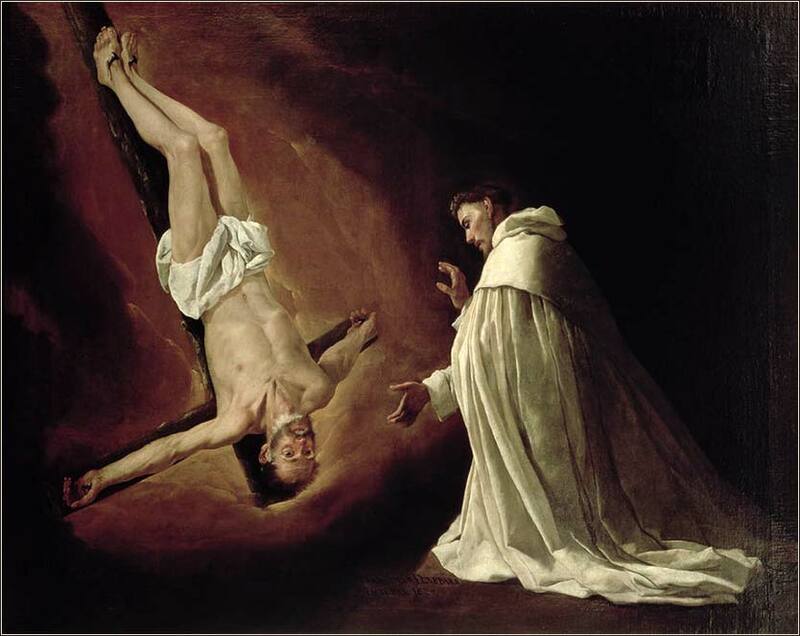 The Apparition of the St. Peter to St. Peter Nolasco, by Francisco de Zurbaran, ca. 1628. Oh heavenly Father, make me an empty vessel for your Spirit to fill. Purge me of the world, of pride and lust and greed and foolish wanderings of mind, that I may be prepared to hear your truth. In what verse does Christ tell us, in no uncertain terms, to love our enemies? The Lord visited Sarah as he had said, and the Lord did to Sarah as he had promised. 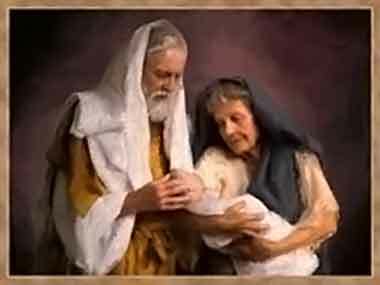 And Sarah conceived and bore Abraham a son in his old age at the time of which God had spoken to him. Abraham called the name of his son who was born to him, whom Sarah bore him, Isaac. And Abraham circumcised his son Isaac when he was eight days old, as God had commanded him. Abraham was a hundred years old when his son Isaac was born to him. But Sarah has been a bit storm-tossed in all of this. She was a woman of great beauty and hope. Beginning when she was young, her husband dragged her hundreds of miles through harsh terrain, always facing the possibility of attack, from Ur to northwest, through Syria, then south the central Canaan. When famine hit them there, they had to make another arduous journey to the somewhat hostile land of Egypt; there the Pharaoh took her from Abraham and made her his concubine. Finally, they were able to go back to Canaan, but then they watched the destruction of the cities of the Jordan Valley (especially Sodom and Gomorrah) and again went south, to live in the arid land of the Negev (where Abimelech almost took her, yet again). Throughout this all, though, she has carried the great sadness of being childless. She has hung for years onto God's promise of a great son, who will be the patriarch of a nation “numbered as grains of sand”. Her faith has seen her through her ordeal. And which of us knows what God may have in store for us, in the future? Great things may come to us, no matter what our age; we cannot fathom God's will, but if we live in faith, we know that we will be rewarded, no matter how hopeless some aspect of our lives may seem.